Omaha is a wonderful city filled with outstanding museums, sporting events, cultural attractions, and beautiful outdoor space. 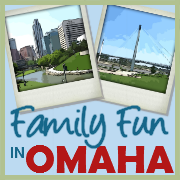 Discover many FREE or inexpensive things to do with kids in the Omaha area! Visit Boys Town (140th & Dodge) including the Hall of History, Dowd Chapel, Father Flanagan House, and Leon Myers Stamp Center, and see the world’s largest ball of stamps. Kenefick Park (next to Lauritzen Gardens) displays two of the greatest locomotives ever to power Union Pacific Railroad, highly visible to drivers passing on I-80. Free admission to the park, and free parking at Lauritzen Gardens. Kenefick Park shares the same hours of operation as Lauritzen Gardens – open daily from 9 a.m. to 5 p.m. year-round except Thanksgiving, Christmas and New Year’s Day. Visit the Hot Shops Art Center, (1301 Nicholas Street) with four “hot shops” featuring glass blowing, pottery, bronze casting and blacksmithing, and more than 80 artists. Their Spring or Fall Open Houses are especially fun times to visit. 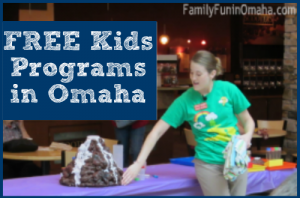 Discover 15+ FREE Kids Programs in Omaha! 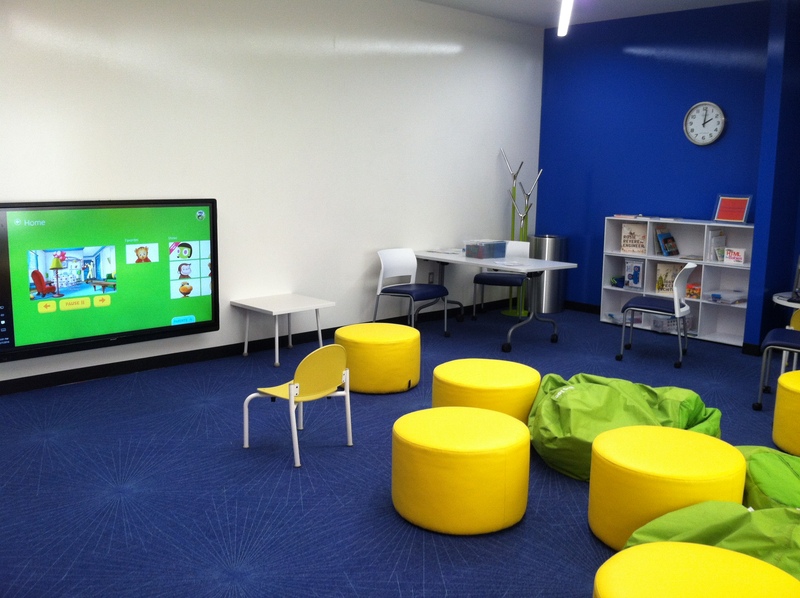 Visit the Do Space Technology Center and play in the Kids Room or take a Free Class including Littles Lab for ages 3-5. View and sign up for upcoming events here. 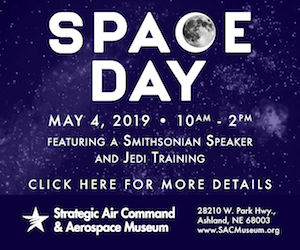 Membership cards are Free and are now required for entry into Do Space classes and programs, so please bring your Do Space card with you to class. Visit KANEKO where they often have exhibitions kids will enjoy. See their current exhibitions here. Visit your Local Library for storytimes, special events, or check out some books together. Join the Summer Reading Program and participate in many of the special activities! Indoor Children’s Play Areas can be found at Oak View Mall and Westroads Mall. 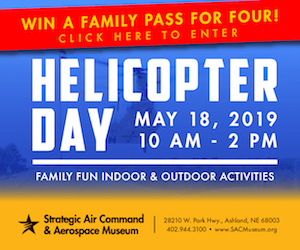 Looking for more FREE Indoor Fun? 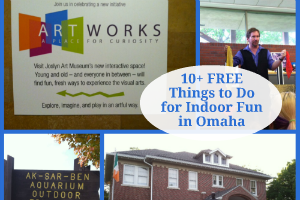 Find 10+ Free Indoor Things to Do in the Omaha Area! Members of the Omaha Public Library can check out passes during specific times of the year to the Omaha Children’s Museum, Fontenelle Forest, Lauritzen Gardens, and the Omaha Henry Doorly Zoo & Aquarium! Refer to each linked article for further details and information. Supply is limited and some restrictions may apply. Explore Favorite Playgrounds in the Omaha Area. Take a walk on the Bob Kerrey Pedestrian Bridge (705 Riverfront Drive), and enjoy the amazing view of downtown Omaha. Memorial Park (6005 Underwood Ave) features monuments honoring men and women of the armed forces who were killed or missing during service. A beautiful rose garden highlights the expansive grounds which are perfect for sledding in the winter, or concerts and games in the summer. Visit the OPPD Arboretum (108th and Blondo) for a picturesque walk in the city. Walk around the park and enjoy the spectacular fountain and light show at the Heartland of America Park (800 Douglas Street). Enjoy a variety of Free Things to Do in the Summer! The Old Market, a favorite among locals and visitors, is an historic area in downtown Omaha featuring shopping, restaurants, boutiques, nightlife, galleries, horse-drawn carriages, street musicians, all surrounded by cobblestone streets. First Friday Old Market, held on the first Friday of each month from 6 – 9 p.m., is a free event celebrating local creativity. Holy Family Shrine is a beautiful glass chapel overlooking I-80 that serves as a place of rest and solitude for people of all faiths. (Location: 23132 Pflug Road, between Omaha and Lincoln off I-80, exit 432-south on Hwy 31 (1.3 miles) west on Pflug Road (1 mile)). Lewis & Clark Visitor Center (601 Riverfront Dr.) Located in the National Park Service building next to the Bob Kerrey Pedestrian Bridge on the Omaha side. Free to the public. St. Cecilia Cathedral (701 N 40th Street) with its beautiful architecture and amazing stained-glass windows, is listed on the National Register of Historic Places. It also hosts a wonderful flower festival every January. Mormon Trail Visitors Center (3215 State Street), a monument to the trials and tribulations of the early pioneers, includes a full-sized log cabin, covered wagon, oxen and handcart, with special Gingerbread House displays at Christmas. View the Fertile Ground Mural, an amazing 32,500 square-foot mural located on the east and north exterior walls of the Energy Systems building at 13th and Mike Fahey Street. The Spirit of Nebraska’s Wilderness and Pioneer Courage Park consists of more than 120 individual bronze pieces integrated within downtown Omaha that covers more than six city blocks.